During our stay in Idyllwild, California, we visited the Western Science Center in the nearby town of Hemet. This museum is located next to a large reservoir (Diamond Valley Lake) where scientists discovered thousands of fossils and bones from the Ice Age while construction crews were digging up to create the reservoir. 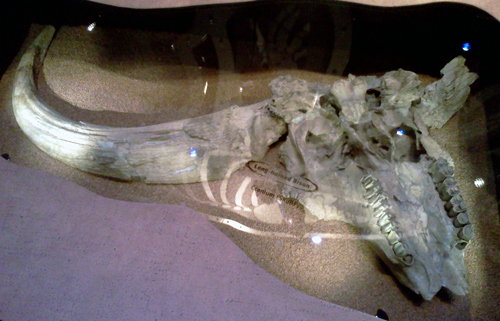 The museum is pretty small but the exhibits are quite impressive, featuring bones of various Ice Age animals, including several incomplete mammoth skeletons, some smilodons, and the complete skeleton set of a giant sloth. Those things really were giant, by the way. 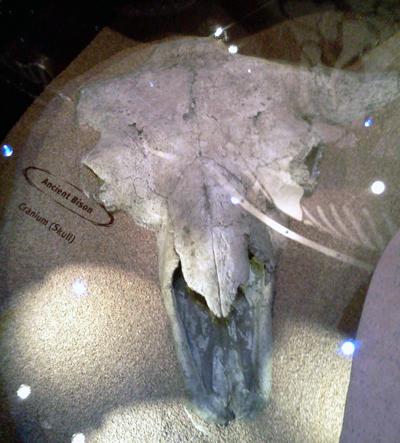 And the long-horned bison skull. Check out those horns! Pretty impressive, huh? Next Post It’s a Milka chocolate surprise!